The 2019 Jeep Wrangler comes in five different trim configurations; Sport, Sport S, Sahara, Moab, and Rubicon. Each different trim level has their own set of features and equipment. Each model, excluding the Moab and Sahara, are available in either two-door or four-door configurations, as well as the option between a hard-top or a soft-top convertible roof. Standard on each trim is a 3.6-liter V6 engine which is rated with a horsepower of 285 and 260 lbs.-ft. of torque. Optional for all trim levels is upgrading to a turbocharged 2.0-liter four-cylinder engine. Both engine configurations are paired to a manual 6-speed transmission. Optionally, each trim can be fitted with an 8-speed automatic transmission. Check out the differences in each trim below! The first trim level is the 2019 Jeep Wrangler Sport and it features standard equipment like 17-inch wheels, foglights, skid plates, air conditioning, detachable metal doors, cruise control, tow hooks, an adjustable steering wheel, and a full-sized spare tire. Jeep’s Uconnect infotainment system is present inside the 2019 Jeep Wrangler Sport, and it is controlled by a 5-inch touchscreen monitor. Additional media-oriented features include Bluetooth connectivity and an eight-speaker audio system. The next trim level is the 2019 Jeep Wrangler Sport S edition. This trim level sees additional features like heated mirrors, an anti-theft alarm system, a leather-wrapped steering wheel, power windows, and automatic headlights. The 2019 Jeep Wrangler Sahara builds off of the Sport’s equipment by adding a larger drivers-information display, additional USB ports, Apple CarPlay, Android Auto, a 115-volt household style power outlet, and satellite radio. The Sport S trim level is only available in the four-door configuration. The next trim level for the 2019 Jeep Wrangler is the luxury-oriented Moab edition. This trim level is fitted with off-road oriented features that attribute to a more versatile driving experience. Additional upgrades for the Moab include keyless entry, leather upholstery, rear parking sensors, a built-in navigation system, an 8.4-inch touchscreen monitor, and a 9-speaker Alpine sound system. The last trim level for the 2019 Jeep Wrangler is the ultimate choice for those who want to take the Wrangler off-road. The Rubicon trim level includes upgrades such as rough-terrain tires, 4.0-1 low-range gearing, a steel front bumper, electronic front and rear lockable gearing, and a Dana heavy-duty M210 front axle. Drivers of all experience will have no issue finding a 2019 Jeep Wrangler that fits them. 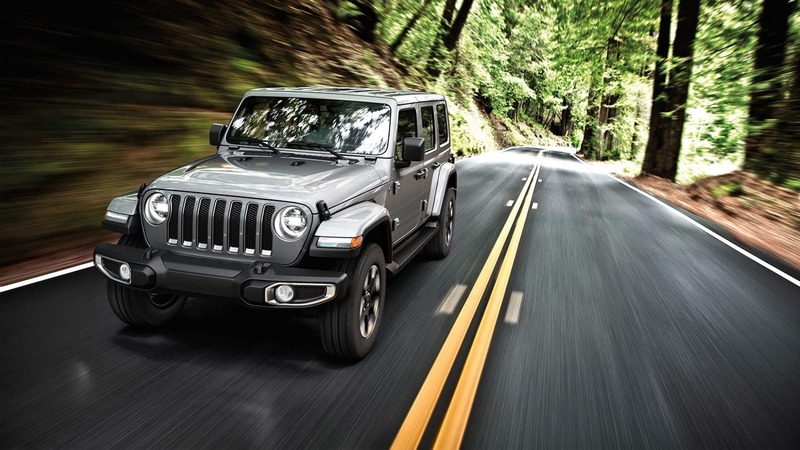 Schedule an appointment to test drive the 2019 Jeep Wrangler today! Interested in the 2019 Jeep Wrangler check out our listing here.